The stock market is playing an important role in the global economy. It helps in the growth of commerce and industry of a global community and hence, affects the economy to a greater extent. This is the reason why governments, industries and financial institutions like banks always keep track of the stock market trends. 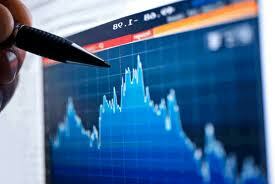 The stock market is important for both investors as well as for industries. If companies want to raise funds to set up a new business or to expand their existing business, they issue shares through the stock market or take debt from financial institutions. Stock market acts as a primary source for industries and organizations to raise funds without bearing the burden of debt. Companies need to get listed in order to issue shares to the general public and get the funds to meet their business requirements. However, there are certain laws and regulations for companies that they need to follow in order to obtain the listing and be eligible to go public and issue shares. Therefore, the primary function of the stock market is to increase the growth of the worldwide economy and by investing in the stock market, an investor participates in the development of industrial sector and thus, for the growth of the economy. The conventional reason to invest in a stock market despite the stock market crash which an investor has to face is the probability of high return earned by an investor. But it is important to set your financial goals before jumping into the stock market. You should consider consulting Your Personal Financial Mentor because he will guide you to invest in such a way that enables to achieve your financial goals. Every investor has a list of financial goals, such as paying rent, purchasing a new car, or to earn profit on investment. This is the reason why they invest in the stock market. They expect companies to perform well and earn higher profits so that an investor can take advantage of these profits in terms of higher return on investments. An investor should manage his portfolio wisely so that his entire investment portfolio is well diversified and support all his goals. But it is important for an investor to set realistic financial goals so that he can achieve his targets in the future. People usually invest in the stock market to earn money and to build a healthy and secure financial future. There are many individuals who prefer to keep their money in banks in order to keep it safe. They make little or no interest on their savings and hence, are actually losing their money due to inflation. For example, if they earn 2% in a particular year in bank but on the other hand, inflation is at 5%, they actually lose 3% in that particular year. If you invest in the stock market, you can make more than 10% return in a single year. Although it is a risky investment but if you follow the stock market trends and build a strategy around it, you can actually generate higher returns on your investments. It is important for you to stick to your financial goals and ignore the hype created by speculators in order to ensure a successful, stress-free and healthy future. It has been observed in the past that the fluctuation in asset prices and share prices influence the mood of a general public and is a key element of the dynamics of economic activity. Therefore, investors and financial institutions should closely observe the behavior of the stock market to ensure smooth operations of the financial system.